When I saw this truck set up for photos, it was like seeing Lisa Hanks\' kit Pumpkin Patch come to life, and I knew I had to have the kit! Besides, these are THE CUTEST PUMPKINS EVER! 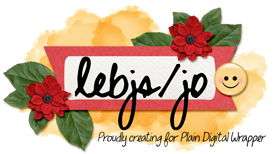 I also used Lisa\'s Just Because templates 1 to complete the layout. OMG...it's like a twin with the truck and the kit! What a fun photo and the perfect kit to showcase it! Love the truck and pumpkin accents!